I’m going to my school reunion tomorrow. I have to go, as I’ve organised it. Even twenty nine years ago I knew it would be me getting everyone together, in fact I wanted it to be me. I remember very clearly a group of us sat in and around one of the Georgian window seats in those last few days before our exams began, all discussing the possibilities of our futures. There was never any doubt that in my future I’d be an artist, have kids and be married to someone absolutely gorgeous. Phew, I can tick all those boxes! What my friends may not have known was that in my 16yr old brain I imagined that I would be living in a castle somewhere dramatic, or at worst I would have bought the building our school was in and I’d be holding reunions in ‘my’ home in all its restored splendour. So there it is, reunions bring up all your failings, no matter how successful or happy you are in your life, meeting up with the people you spent a mere five years of your life with forces you to evaluate where you are and what have you achieved . That’s maybe why, apart from a small reunion after around five years, our group of forty girls from a Dorset grammar school didn’t meet up until two years ago. I’d arranged that reunion, joining with boy’s grammar school with which we’d shared science labs and teenage discos along with many a first kiss. It’s interesting that it took me to be chronically ill and mostly bed bound to even think about organising it. When I’d been working it was always something I’d do ‘one day’, when I had that mansion or secured one more, even better exhibition or tangible success. Of course, when you’re busy working, searching for that gorgeous husband and bringing up your beautiful kids there’s no time to try and trace a group of people you’ve had no contact with, from a school that closed twenty years ago! In 2011, I had the good fortune to be invited as a guest to the year above mine’s reunion. I had been at the same primary school as many of them and so we had been good friends before and since school, often with our parents keeping in touch. I highly recommend going to someone else’s reunion as a starter. There are no expectations of you, you’re always younger too! It was that highly enjoyable afternoon that prompted me to get organised with my year group. I have a dear gentleman friend of ninety two years of age and we’ve started having a regular morning cuppa, he visits me and we chat. He is from a different world to me, his father was a world renowned mathematician, he’s a Cambridge graduate who,following his distinguished naval career, became a professor of music at a Scottish University. He has life memberships at some of the finest Golf and gentlemen a clubs in London and an Art collection worthy of any museum. When he popped in to see me earlier this week I mentioned my upcoming reunion. ‘Bah!’ He said. ‘Dreadful gatherings’. I was surprised, expecting him to have been a star pupil and with his children all having outstanding careers how could he possible be reluctant to go to a reunion? ‘Oh, I’m in Insurance’ was the reply. ‘Splendid, are you our man from the ‘Pru’? ‘Well no, actually I’m the Ombudsman’. We both laughed and I realised that in one way or another that’s how we all feel at some point in our lives. There will always be someone who is more successful, with a more gorgeous partner, more beautiful and successful offspring and of course more money. Maybe what enabled me to even think about organising a reunion was when my career stopped and my poor health took over. I could no longer say what I ‘did’. I could no longer do anything, I even need daily help to achieve my goals as a wife and mother, and yet I’ve had to dig deeper, I still have value in society. I do my best for my husband and children and love spending what energy I have on my friendships. I love people and I’m fascinated in what they have going on in their lives, what their journey has been. I am no longer worried or concerned about where I sit in the success stakes, and I no longer judge people by their achievements. What is, just is, and I love it all. 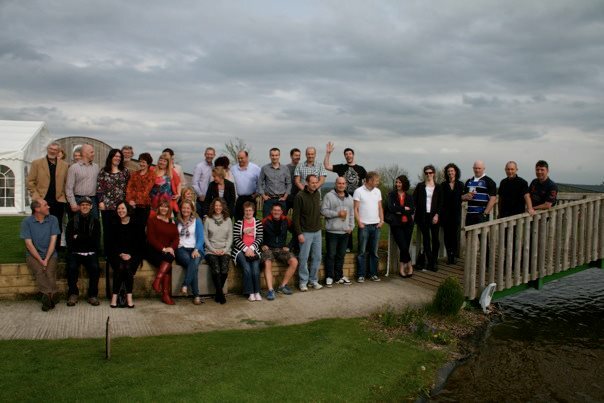 When we did get together two years ago it was a great success and in so many ways none of us had changed. The great thing about meeting with your own age group is that we all have greying hair, busy lives and yet our inner cores are still those we had aged eleven to sixteen. A good time was had by all and we all agreed we should stay in touch and so here we are gathering again. I do hope that more of our forty will be there and maybe next year, on our thirtieth anniversary, we could all be reunited. Life weary, but happy that with this group of people who we shared our formative dreams and teenage angst with, there is no ‘salt pouring’ and that we can all come together happy in our own skins and sharing the joys and tears in each others lives. Now just to decide what to wear….